You did such an attractive building for The Fairgrounds Business Center in Oakwood, we where please with the over all look as well as the landscaping. Keep up the good work. While the elements of the existing structure will guide certain interior components, our professionals can still provide space planning and selection of design elements to create a concept that maximizes the functionality of your interior. 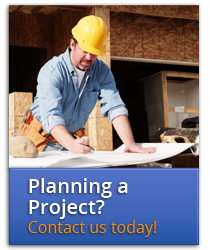 If plans are already complete for your project, we also bid project management and construction services that will allow you to leverage our experience and stellar track record of on-time construction. Take a look at some of our interior work and contact us to discuss your project.